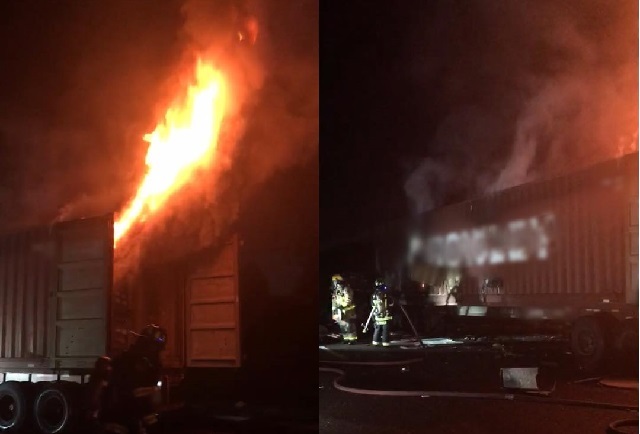 BREVARD COUNTY, Florida - A truck driver died as a result of injuries he sustained in a fiery crash that occurred at 4 a.m. on Sunday on I-95 near mile marker 223 in Brevard County, Florida. The man was driving a semi-tractor trailer northbound on I-95 directly behind another semi truck driven by 43-year-old Lawrence Lee of Grenada, Mississippi. According to the Florida Highway Patrol, the man failed to slow down as his semi approached the rear of the first semi. The front of his semi then caught fire after it had struck the rear of the first semi. FHP has been unable to identify the remains of the driver due to the fire. Lee only suffered minor injuries.